WOW, who ever knew Christmas could be so easy! It is a joyful time, that is filled with many times of stress, due to shopping and traveling. Also, things like wrapping gifts can sometime be a pain. 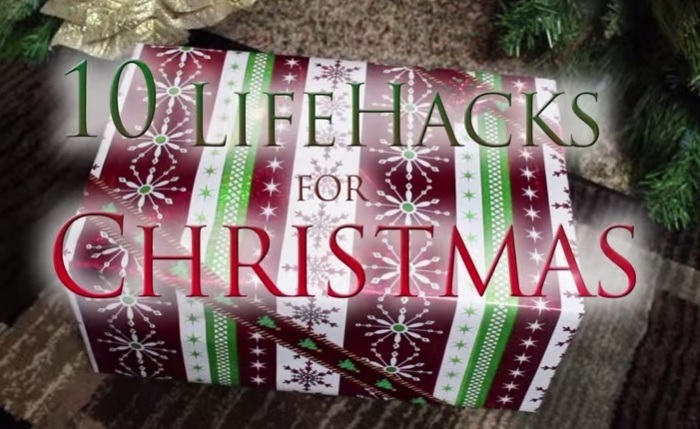 Well, that is until you see this awesome life hacks video. After watching this video, you may want to try to get all of them in your own household. Each and every one of these can be useful for anyone who is doing things around Christmas time. It covers the main ideas during the Christmas holiday. It is almost guaranteed you will be willing to try at least one of these awesome tricks. Be sure to SHARE this with all of your friends as a gift.